In a world where access to internet is becoming more and more widespread, information on almost anything is subsequently becoming easier to find, simply by “Googling” it. Furthermore, free information quite often results in self proclaimed experts of the field, sometimes resulting in unfavorable outcomes for anyone who follows their views/advice without understanding how such individuals arrived at those outlooks. As such it is important to separate a few facts from myths in terms of what data an individual should consider when faced with some common financial planning aspects rather than what is most commonly/easily available of the internet. Now In comparison the inflation rate for the Indian colleges is approximately 10%-11% p.a. As you can see, the weight age of expenses, while more suitable for the lower strata of income generating families, might not be appropriate for the higher end. Something like expenses on food/groceries would certainly not be half the expenses. As such, while current CPI numbers are around 3.5%, indicating that going forward inflation is to be expected around that range, it would be right to assume that a middle class family living in Mumbai would face the same inflation rates. A more appropriate method would be to calculate the individual inflation of major expense heads i.e. food, rent, education, lifestyle expenses and find the average of the same. You would more likely discover a very different inflation rate compared to the CPI. Similarly, another topic of debate is usage of Total Return Index v/s Simple Price Index as a benchmark when selecting a mutual fund. A Simple Price Index only captures the capital gains due to stock movements in the fund. But the Total Return Index considers the capital gains and dividend paid by the companies to the investors. Hence it shows a truer picture of the returns. Almost all mutual funds today benchmark their returns against the Simple Price Index. 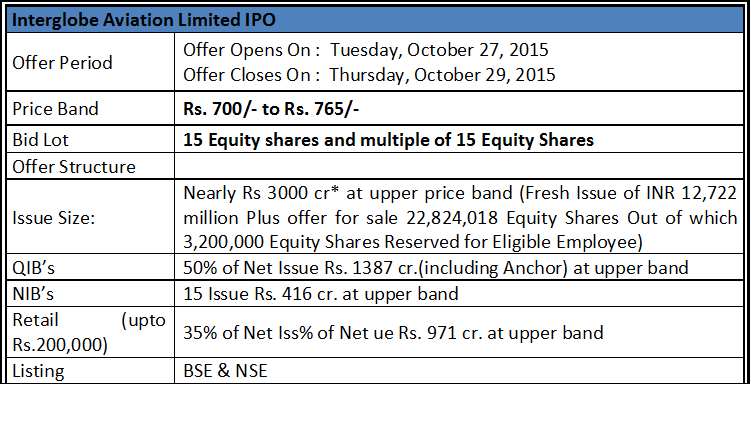 This can result in showing higher alpha generation by the fund which may not give the right picture to the investor. For example, Nifty 50 Price Index over past one year (as on 27th October 2017) was 18.63 percent and Nifty Total Return Index for the same period showed 19.75 percent. 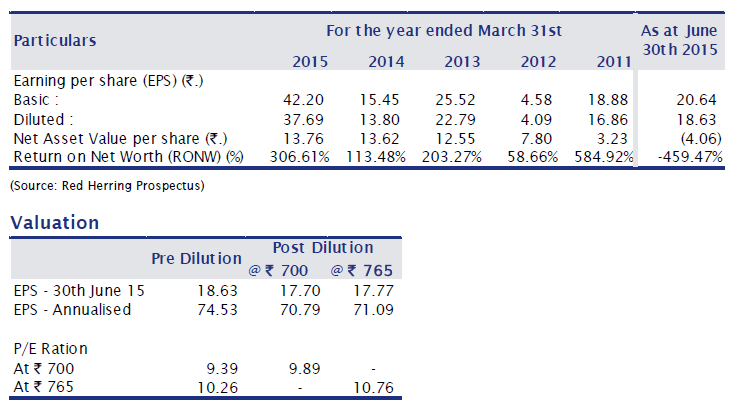 Hence a mutual fund will show different alpha based on the benchmark used. Plan Ahead Wealth Advisors believes that Rolling Returns and the Total Price Index are the correct data points to consider. Finally, the widespread use of the general rule of thumb when it comes purchasing a Term Insurance Plan i.e. the sum assured is to be 15-20 times the annual income. Procuring a term plan should be about covering financial risks that may befall on the dependants in case of an unfortunate event. Financial risk does not only include loss of income but also other factors such as pending liabilities, future financial goals, current assets that can be redeemed shortly to meet any obligations. Such factors also play a significant role in determining how much cover needs to be taken. Using the right data is critical during the financial planning process. As you can see, wrong data can lead to significant errors/assumptions which can have detrimental impacts. Over the weekend there was news that RBI Governor Raghuram Rajan’s term is ending on 4th September 2016. The market clearly does not like surprises, and therefore the impact could be short term volatility in currency,equity and bond markets. Thus, whilst this is clearly a short term impact to India’s image in the international community and financial investors, we believe there is a list of very eligible candidates who can be appointed. In fact, the events over the weekend are likely to get the government to move much faster on finding an approprite replacement, and thus we believer there is no need of changes in your investment portfolio as a result of this. Ultimately, we believe that institutions are typically bigger than their chief executive. The event which is likely to have a much bigger impact is the probability of Britain moving out of the European Union. Over the last couple of weeks, there has been significantly higher newsflow around Brexit and the importance of 23rd and 24th June for world markets, due to the Brexit. Let’s understand the possible impacts of Brexit on your personal finances. The European Union has 28 countries as its members. European policies currently aim to ensure free movement of people, goods, services and capital amongst its member states. Out of these, 19 members use Euro as its currency. Britain which is one of its members is evaluting whether it needs to stay in the EU or exit. That’s why it is termed as Brexit – ‘ Britain Exit’. There is a possibility of largely two scenarios in the referendum on the Brexit, that is, either a leave or a stay. Let’s examine the impact of each of these on your investments separately. As indicated, this will be decided on the basis of a referendum which is going to be held on 23 June – a final decision will be taken on the basis of the votes. Depreciating Pound and Euro / Strengthening Dollar and Yen– Thus, if you have kids studying in the UK or planning to study there, you couldend up paying lesser. The US dollar could then be expected to strengthen in the short term as investors will rush to Dollar as a safe investment vehicle. If you have any dollar denominated investments then those will increase in value. In the short term emerging markets including India , as well as UK and European markets, could experience volatility due to flight of capital to safety . However, the expectation is that impact on India will be lesser compared to the other emerging markets due to its realtively stronger fundamentals. Thus, if you have investments in emerging markets then those might see temporary fall in returns. Do not panic and sell. Over the longer term, the performance of your emerging market funds will depend on the economic scenarios of the individual countries to which your fund is exposed to, apart from the temporary brexit effect. Gold is gaining importance as an investment vehicle with rising global uncertainties. Therefore, Gold Exchange Traded funds, Gold funds and sovereign gold bonds could benefit from this price rise of gold, as well as strength of the US dollar. This will ideally mean increase in the value of your equity investments since world markets could do well, as the overhang of the Brexit has led to signficant market volatility over the last few weeks. A relief rally could follow, especially as multiple other EU countries are also at this point looking to see what the UK does with the Brexit. If the brexit does not take place there may not be any selloff in the bond markets which means the yields could remain as is. The higher inflation ovehang on domestic bonds is likely to be the driver of bond prices going forward in that case. There will be increased confidence in European markets and Euro could appreciate. Your Euro denominated investments could do well in this case. Since the outcome is hard to call currently, one may need to track this event carefully, and decide you investment strategy carefully basis the outcome of the referendum. In the short term volatility may be expected to be higher than normal, but do not take panic calls and stick to your asset allocationand overall financial goals and plans. Does Brexit impact your investment portfolio? Over the last couple of weeks, there has been singifcantly higher news around Brexit and the importance of 23rd and 24th June for world markets, due to the Brexit. Let’s understand the possible impacts of Brexit on your personal finances. Since the outcome is hard to call currently, one may need to track this event carefully, and decide you investment strategy carefully basis the outcome of the referendum. In the short term volatility may be expected to be higher than normal, but do not take panic calls and stick to your asset allocation and overall financial goals and plans. InterGlobe Aviation Ltd, which runs India’s largest airline by market share IndiGo, and its existing investors plan to sell around 10% of its equity. Use of Funds: According to its share sale prospectus, IndiGo will use 1,165.66 crore to retire liabilities and acquire aircraft. It will spendRs.33.36 crore for equipment acquisition and rest for general corporate purposes. Only profitable Indian carrier: IndiGo is India’s largest no-frills airline and has been the only profitable Indian carrier for the past seven years out of its nine years of existence. Indigo has won a reputation for its service quality and on-time performance in an industry characterized by debt and accumulated losses. The airline turned profitable in fiscal 2009 and has remained profitable in each subsequent fiscal through FY14. No other Indian airline has consistently remained profitable over the same period, according to consulting firm CAPA India. Order Book: IndoGo maintains largest order book of any Indian carrier. The significant volumes that they generate mean that they have much better bargaining power vis a vis other players, allowing them to keep their costs down. ASK (Average seat kilometers): ASK measures an airlines passenger carrying capacity. IndiGo’s carrying capacity has increase from 2004 to 2014 while in the same period for other carriers it has gone down. Falling jet fuel prices: Falling jet fuel prices in the last one year Fom Rs.165.6 in September 2014 to Rs. 92.24 in September 2015 will reduce the input cost for airline industry dramatically. Continuing to apply the low cost carrier model: The airline industry is characterized by low profit margins and high fixed costs, including lease and other aircraft acquisition charges, engineering and maintenance charges, financing commitments, staff costs and IT costs. Significant operating expenses, such as airport charges, do not vary according to passenger load factors. In order for them to profitably operate their business, they must continue to achieve, on a regular basis, high utilization of their aircraft, low levels of operating and other costs, careful management of passenger load factors and revenue yields, acceptable service levels and a high degree of safety. Some of these factors are not under their control. Therefore, profits may vary. Any change in fuel costs could significantly impact profitability. Production delays for Airbus A320neo aircraft: Production delays in the order placed for Airbus A320neo in 2011 could impact their expansion plans. Foreign Exchange Risk of depreciating Rupee against Dollar: With substantially all their revenues denominated in Rupees, they are exposed to foreign exchange rate risk as a substantial portion of their expenses are denominated in U.S. Dollars, including their aircraft orders with Airbus. IndiGo is the only profitable airline currently, though Spicejet has just started to turn profitable post the change in its management. The company’s track record and focus on the basics provide comfort to investors, whilst its dividend payout strategy prior to the IPO has raised quite a few eyebrows and negative questions around governance. With India being one of the fastest growing markets for air travel, a well managed fleet expansion plan could pay off well for long term investors, especially as low cost airlines have tended to be the only category of the airline business that have made monies for investors. 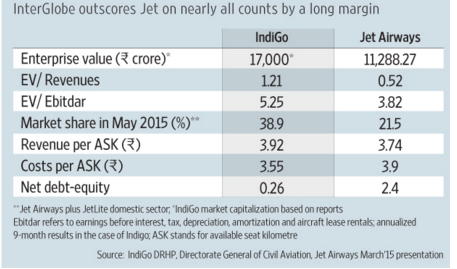 Investors could look at investing in the Indigo IPO. Historical electoral results – A strong, pro- growth oriented and business friendly government looks good for economic growth and for businesses. This promise has to translate into big reforms on the ground as most of the early work has been focused on getting the bureaucracy and decisions that were deferred forward. Current Account Deficit (CAD) widened in 2Q FY15 due to widening of trade deficit. However, it is expected to be in a comfort zone in FY16 with falling crude oil prices offsetting high import growth of non-oil and gold. Fiscal Deficit for the first 8 months of FY15 (Apr-Nov) came in at 99% of the budget estimate of 4.1% for the full fiscal year. Whilst it is still possible that the government could achieve the target by controlling spending for this year, the fiscal deficit target of 3.6% of GDP in FY16 could be difficult to meet. Earnings Growth: The private sector in India remains in a deleveraging cycle, saddled with excess debt. However, Corporate Earnings should be better than estimates as corporate margins are significantly below the long term averages and should improve gradually as capacity utilization and business conditions improve in the next 2-3 years which is when the full impact of lower interest costs and softer commodity prices will show up in corporate profits. The outlook for equities in 2015 could be challenging, but things look promising from a longer term perspective and there is merit in increasing allocation to equities in a phased manner and staying invested. However, every investor should look at their own specific asset allocations rather than specific asset class performances. Inflation declined to a series low due to lower commodity prices, slowdown in consumer demand, low growth in MSPs and falling oil prices. CPI inflation eased to a series-low 4.4% in November 2014 from 5.5% in October 2014 in year-on-year (y-o-y) terms. This primarily reflected a sharp decline in food inflation to 3.6% in November 2014 from 5.7% in October 2014, as well as a fall in core-CPI to 5.5% from 5.9%. In fact, WPI inflation declined to 0% in November 2014. In the December Policy review, RBI kept the rates unchanged and revised the CPI target to 6% for March 2015 and also as per RBI, the risks to the Jan 2016 CPI target of 6% looks balanced. There could be concerns during the first quarter of 2015 as RBI waits for certainty with regards to lower/stable inflation, and fiscal adjustments during the budget before commencing any monetary easing and interest rate cuts. Global concerns over interest rate hike in US and movement of global crude oil prices will also keep investors guessing on the direction of interest rates in India. Fall in inflation and slow economic growth would lead to cut in interest rates in future. As seen from the chart below, bond yields have moved sooner than policy rates more often. Currently also, the yields have fallen in anticipation of a rate cut. RBI is also targeting a real positive return on interest rates to potentially move savings from physical assets to financial assets. This could mean that a 6% CPI inflation would synchronize with a 7% repo rate – which means a 100 bps cut in repo rate over the next 18 months. Investors will need to have a sufficiently long time horizon ( 12-24 months) when investing in duration strategies now, especially given that the first 25 bps of the expected cuts are perhaps already in the price. Thus, we would recommend continuing to stay invested in a portfolio with a mix of longer maturities and accrual funds, which are likely to benefit as interest rates are expected come down in the next 18-24 months. The global equity markets also continue to perform well with US markets reaching new highs. Crude oil prices corrected to a 5.5 year low due to significant new supply of shale gas from U.S., slowdown in global demand, and a reduction in per unit consumption in automobiles due to better and efficient technology. So, there’s enough reason to believe that oil prices will remain favourably low. Obviously, a sharp drop in oil prices can potentially create some pressures in oil exporting countries like Russia and in market players who were perhaps overextended in trading. Also, lower oil prices reduce inflationary pressures and current account deficits allowing emerging market central banks greater freedom to stimulate domestic economies. We think 2015 is going to be a year of divergence in economic growth and central bank policy. While the US is leading developed markets growth, Europe and Japan are struggling for growth at this point of time and China is still in search of its sustainable growth formula. So we could have central banks across the globe moving in a de-synchronized manner where US is looking to normalize its interest rate structure, while Japan and Europe will still continue to adopt loose monetary policy conditions to fight deflation in their economy. This divergence in policy action will increase market volatility and require investors to pay more attention to risk management. Currency: Dollar strength and one of the drivers of this trend is the shale gas revolution which US is experiencing and its impact on shrinking the US economy’s current account deficit. This could pose some challenges for emerging markets but stronger fundamentals should limit the financial risks for those emerging market which have already gone through a course correction over the last 18 to 24 months. Hence, we continue to reiterate to build a well diversified portfolio with having exposure of between 10-15% into international investments to hedge against currency risk. Gold prices could continue to remain under pressure in the short term due to the fear of interest rate hike in US. Whilst the INR currently looks a little overvalued and is expected to depreciate, Gold as an asset class could gain value as it has an inverse relationship with the Indian currency traditionally. Hence, we continue to believe to have gold as small part of the portfolio for the purpose of diversification and hedge currency risk.